The incidence of intertrochanteric femoral fractures has increased significantly during recent decades. The aim of treatment of these fractures is stable fixation, which allows early mobilization of the patient. The status of the lesser trochanter is important in evaluating the stability of the reduction. If the lesser trochanter is displaced as a large fragment, a significant posteromedial cortical defect is present and the fracture geometry indicates a potentially unstable reduction and high possibility of varus deformity. In addition, the displaced lesser trochanter sometimes does not join to the shaft and may cause pain during walking. If the lesser trochanter is too far from the shaft, it can not be reduced without direct open reduction. Thus, repair of this bone gap as well as the posteromedial cortical defect is desirable. β-tricalcium phosphate (β-TCP) is a calcium phosphate ceramic used in bone grafting as an alternative bone substitute to autograft. It has been reported that β-TCP has excellent osteoconduction and resorbability when filling a bone defect [1K Ohura, M Bohner, P Hardouin, J Lemaitre, and B Pasquier Flautre, "“Resorption of and bone formation from, new betatricalcium phosphate-monocalcium phosphate ceramics”", J. Biomed. Mater. Res, vol. vol.30, pp. 193-200, 1996.-8T Tanaka, Y Kumagae, M Saito, M Chazono, H Komaki, T Kikuchi, S Kitasato, and K Marumo, "“Bone formation and resorption in patients after implantation of beta-tricalcium phosphate blocks with 60% and 75% porosity in opening wedge high tibial osteotomy”", J. Biomed. Mater. Res. Part B Appl Biomater, vol. vol.86, pp. 453-459, 2008.]. With regard to shape, both block and granular forms of β-TCP have been available; however, some cases have presented difficulty in filling irregularly shaped bone defects. We have recently developed a paste-like complex of granular β-TCP and collagen or hyaluronic acid that is intended to be suitable for defects of any shape [5M Chazono, T Tanaka, H Komaki, and K Fujii, "“Bone formation and bioresorption after implantation of beta-tricalcium phosphate granules-hyaluronate complex in rabbit bone defects”", J. Biomed. Mater. Res, vol. vol.15, pp. 542-549, 2004., 9H Komaki, T Tanaka, M Chazono, and T Kikuchi, "“Repair of segmental bone defects in rabbit tibiae using a complex of betatricalcium phosphate, type I collagen, and fibroblast growth factor- 2”", Biomaterials, vol. vol.27, pp. 5118-5126, 2006.]. In addition, this complex is a good candidate for a carrier for growth factor delivery. Among many growth factors to regulate bone, fibroblast growth factor-2 (FGF-2) is recognized as a potent mitogen and has been reported to enhance the release of additional signaling factors from mesenchymal cells that are involved in chondrogenesis and bone formation [10TL McCarthy, M Centrella, and E Canalis, "“Effects of fibroblast growth factors on deoxyribonucleic acid and collagen synthesis in rat parietal bone cells”", Endocrinology, vol. vol. 125, pp. 2118-2116, 1989.-12H Kawaguchi, T Kurokawa, K Hanada, Y Hiyama, M Tamura, E Ogata, and T Matsumoto, "“Stimulation of fracture repair by recombinant human basic fibroblast growth factor in normal and streptozotocin-diabetic rats”", Endocrinology, vol. vol.135, pp. 774-781, 1994.]. We have previously reported that an injectable complex of β-TCP granules and collagen supplemented with FGF-2 enabled cortical bone regeneration of rabbit tibiae [9H Komaki, T Tanaka, M Chazono, and T Kikuchi, "“Repair of segmental bone defects in rabbit tibiae using a complex of betatricalcium phosphate, type I collagen, and fibroblast growth factor- 2”", Biomaterials, vol. vol.27, pp. 5118-5126, 2006.]. The objective of this study was to evaluate the effects of a complex of β-TCP granules and hyaluronic acid combined with recombinant human FGF-2 (rhFGF-2) on repair of unstable intertrochanteric fractures in elderly patients. All materials are commercially available. However, hyaluronic acid and rhFGF-2 are allowed to treat osteoarthritis and skin defects, respectively. 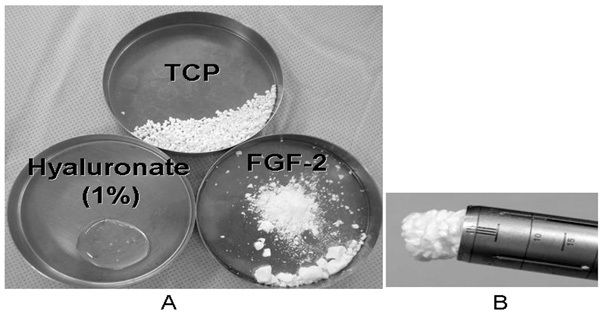 For the preparation of an injectable bone substitute, 2 g of β-TCP granules (Olympus Terumo Biomaterials, Tokyo, Japan) with 60% porosity and diameters ranging from 1 to 3 mm, 2 mL of 1% hyaluronate (Chugai, Tokyo, Japan), and 1 mg of rhFGF-2 (Kaken, Tokyo, Japan) were mixed aseptically in a dish (Fig. 1A ). The mixture was transferred to 1-cm diameter cylinders (Arthrex, Inc, Naples, Fla) used for preparation of osteochondral grafts (Fig. 1B ). The total volume of the complex was approximately 3.5 mL. An injectable complex of 2 mg of β-TCP granules with 60% porosity, 2 mL of 1% hyaluronate, and 1 mg of rhFGF-2 (A). The mixture was transferred to a 1-cm diameter cylinder used for osteochondral grafts (B). 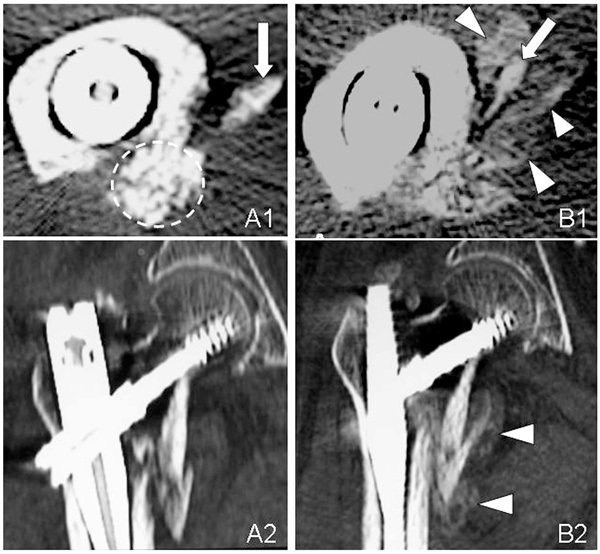 A complex of β-TCP granules, hyaluronate, and rhFGF-2 in a cylinder is injected through the tip of the great trochanter to the base of the lesser trochanter during surgery (A) under fluoroscopy (B). Radiographs of an 82-year-old woman (Case 1) with a displaced lesser trochanter. The injected complex remained in its original place (white oval) at 4 weeks. Callus formation was found 4 weeks after surgery and the callus increased in size over time. Marked new bone formation was found around the lesser trochanter at 6 and 12 weeks. 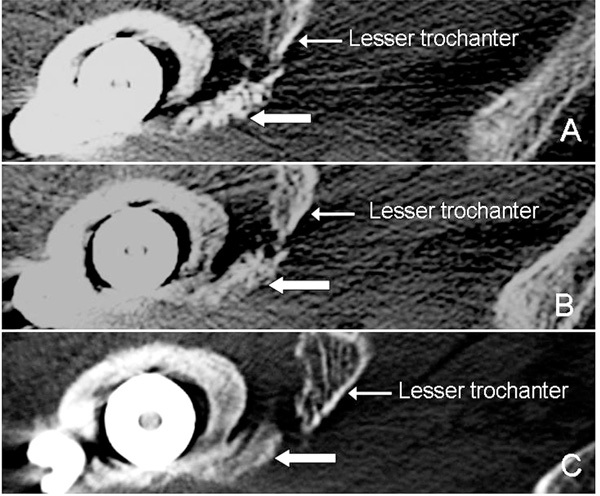 Axial (A1, B1) and sagital (A2, B2) CT images of the unstable intertrochanteric fracture in Case 1. The complex of β-TCP granules, hyaluronate, and rhFGF-2 remains in its original place (broken circle) at 3 weeks (A1). CT image shows marked new bone formation at 6 weeks (B1, B2). The arrows point to the lesser trochanter and arrow heads point callus. Radiographs and a CT image of four unstable intertrochanteric fracture cases (A;Case 2, B;Case 3, C;Case 4, and D;Case 5). Initial radiographs (A1, B1, C1, and D1). Immediate postoperative radiographs (A2, B2, C2, and D2). Follow-up radiographs at 12 weeks (A3, B3, C3, and D3). Broken ovals indicate the remaining complex of β-TCP granules, hyaluronate, and FGF-2 and arrow heads indicate callus. Radiographs of an 83-year-old woman (Case 6) with a displaced lesser trochanter (A). The β-TCP granules are still visible at 4 weeks (arrows) in AP (B) and lateral views (C). The complex is resorbed and bone union of the intertrochanteric fracture has occurred at 12 weeks (D). However, no bridging bone formation is seen between the lesser trochanter and the shaft. Axial CT images of Case 6. The injectable complex (arrows) has not been replaced by bone at 3 weeks (A). At 8 weeks (B), the complex is partially replaced and is completely replaced by bone at 12 weeks (C). However, it did not reach to the displaced lesser trochanter. All patients having 31.A2 fractures according to the AO classification [13ME Muller, M Allgower, R Schneider, and H Willenegger, Manual of internal fixation: techniques recommended by the AOASIF group, 3rd ed Springer-Verlag: Berlin Heidelberg, New York, 1991, pp. 270-281.] provided informed consent to participate in the present study, which was approved by our institutional review board. From June, 2007 to June, 2011, 25 patients (23 women and 2 men) with a mean age of 84 years (range, 76 to 91 years) were used for evaluation. The operation was performed within 7 days after fracture. All patients were positioned supine on the traction table and all fractures were reduced by closed means. At first entry point was made on the tip of the great trochanter. After intramedullary reaming of the proximal part of the femur, the complex of β-TCP granules, hyaluronate, and rhFGF-2 was injected under fluoroscopy to the base of the lesser trochanter and into the gap between the shaft and the displaced lesser trochanter. Then a proximal femoral nail was inserted (Fig. 2 ). All patients were encouraged to walk fully weight-bearing 2 weeks after surgery. Administration of bisphosphonates was prohibited by 12 weeks after surgery. From June, 2007 to November 2011, fifteen patients having 31.A2 fractures without an injection of the complex with a mean age of 83 years were used as controls. Weight-bearing was allowed in the control patients 3 to 4 weeks after surgery to prevent varus deformity. Each patient treated with an injection of the complex was examined sequentially by X-ray at 2 week intervals and by CT scan images taken at 3, 8, and 12 weeks. In 2 cases, CT examination was performed at 6 weeks instead of 8 weeks. Final observation was carried out at 12 weeks in all cases. Although the control patients were examined by X-ray in the same manner, CT examination was performed at only 3 weeks. Final observation was performed at 12 weeks. No major adverse effect such as infection was found in any patient. Two weeks after surgery, β-TCP granules were clearly visible in their original place, but new bone formation was not observed. Four weeks after surgery the margins of the β-TCP granules were unclear Figs. (6A , 6B , 6C ) and new bone formation was found in 11 cases. By 8 weeks after surgery, most of the β-TCP granules had disappeared and callus formation was seen in all cases. At 12 weeks, union of the intertrochanteric fracture and marked new bone formation were found around the lesser trochanter in all cases (Figs. 3 , 5 , and 6D ). No varus deformity more than 5° was observed. In the control group, new bone formation was not found at 2 weeks. Four weeks after surgery, new bone formation was found in 3 cases. At the latest follow-up 12 weeks after surgery, bone union of the intertrochanteric fracture was recognized in all cases. No varus deformity was observed. However, one case did not show bridging between the shaft and the displaced lesser trochanter. At 3 weeks, CT scan images revealed callus formation in only 3 cases. β-TCP granules remained in their original locations and were still visible (Figs. 4A1 , 4A2 , 5 , and 7A ). CT scans taken at 6 or 8 weeks showed that most β-TCP granules were resorbed, and new bone formation was found in all cases (Figs. 4B1 , 4B2 , 5 , and 7B ). At 12 weeks, β-TCP granules were replaced by bone and marked new bone formation was observed in all cases. Bridging between the shaft and the displaced lesser trochanter was developed in 24 cases. Bridging did not occur in one case due to poor location of the injection (Fig. 7C ). In the control group, CT scan images showed callus formation in only one case at 3 weeks. β-TCP has been attracting attention due to its good biocompatibility and biodegradability. However, it is difficult to fill bone defects with irregular shapes. We have recently developed a paste-like composite of β-TCP granules and hyaluronate [5M Chazono, T Tanaka, H Komaki, and K Fujii, "“Bone formation and bioresorption after implantation of beta-tricalcium phosphate granules-hyaluronate complex in rabbit bone defects”", J. Biomed. Mater. Res, vol. vol.15, pp. 542-549, 2004.] or collagen [9H Komaki, T Tanaka, M Chazono, and T Kikuchi, "“Repair of segmental bone defects in rabbit tibiae using a complex of betatricalcium phosphate, type I collagen, and fibroblast growth factor- 2”", Biomaterials, vol. vol.27, pp. 5118-5126, 2006.] that is suitable for any shape of defect. The addition of hyaluronate or collagen to β-TCP granules not only improves injectability but also localizes β-TCP and growth factors. Although this complex is easy to handle and is able to fill irregularly shaped defects by injection with minimal surgical intervention, mechanical properties of this complex are unsatisfactory until bone formation occurred compared to calcium phosphate bone cements. However, calcium phosphate bone cements have shortcomings including a much lower solubility and remaining in the body for a long time. Unlike these bone cements, the β-TCP granules-hyarulonate complex is completely incorporated into in the newly formed bone but are gradually degraded and finally replaced by mature bone. It is known that healing of cortical bone defects is more difficult and time consuming than that of cancellous bone defects [7T Tanaka, M Chazono, and H Komaki, "“Clinical application of beta-tricalcium phosphate in human bone defects”", Jikeikai Med. J, vol. vol.53, pp. 23-31, 2006., 8T Tanaka, Y Kumagae, M Saito, M Chazono, H Komaki, T Kikuchi, S Kitasato, and K Marumo, "“Bone formation and resorption in patients after implantation of beta-tricalcium phosphate blocks with 60% and 75% porosity in opening wedge high tibial osteotomy”", J. Biomed. Mater. Res. Part B Appl Biomater, vol. vol.86, pp. 453-459, 2008.]. This disparity may be due to differences in blood flow between cancellous and cortical bones. Thus, it is not enough to fill cortical bone defects with β-TCP alone. Additional stimulations such as growth factors and ultrasound administration are necessary to repair cortical bone defects. We have previously reported that a complex of β-TCP granules and collagen supplemented with 200 µg of FGF-2 induced cortical bone regeneration and repaired 5-mm cortical bone defects in rabbit tibiae by 12 weeks post-treatment [9H Komaki, T Tanaka, M Chazono, and T Kikuchi, "“Repair of segmental bone defects in rabbit tibiae using a complex of betatricalcium phosphate, type I collagen, and fibroblast growth factor- 2”", Biomaterials, vol. vol.27, pp. 5118-5126, 2006.]. Others also showed that a single local application of FGF-2 facilitated the healing of bone fractures and bone defects in animals [14P Aspenberg, and LS Lohmander, "Fibroblast growth factor stimulates bone formation”", Acta. Orthop. Scand, vol. vol. 60, pp. 473-476, 1989.-18Y Tabata, K Yamada, L Hong, S Miyamoto, N Hashimoto, and Y Ikada, "“Skull bone regeneration in primates in response to basic fibroblast growth factor”", J. Neurosurg, vol. vol.91, pp. 851-856, 1999.]. Kawaguchi et al. [19H Kawaguchi, S Jingushi, T Izumi, M Fukunaga, T Matsushita, T Nakamura, K Mizuno, and K Nakamura, "“Local application of recombinant human fibroblast growth factor-2 on bone repair: A dose-escalation prospective trial on patients with osteotomy”", J. Orthop. Res, vol. vol.25, pp. 480-487, 2007.] reported the first evaluation of the efficacy and safety of rhFGF-2 in a clinical trial. The results showed that local application of rhFGF-2 (200-800 µg) accelerated bone union of a high tibial osteotomy in a dose-dependent manner. In consideration of these previous studies, we decided to use 1 mg of FGF-2. The results obtained from this study showed that the complex of β-TCP and hyaluronate combined with FGF-2 induced marked callus formation around the lesser trochanter compared to those cases not treated with an injection of the complex. We speculate that FGF-2 diffuses from the complex to osteoprogenitor cells in periosteum, bone marrow, and muscle resulting in marked callus formation. The advantages of this complex include promoting fracture healing and repairing cortical bone defects using β-TCP as a carrier. Although this complex promoted callus formation, it did not shorten the time required for callus formation. If recombinant human bone morphogenetic proteins (rhBMPs) are used as alternatives to FGF-2, early callus formation may be expected. However, the high costs of rhBMP-2 and -7 may preclude its widespread use. In contrast, rhFGF-2 has an economical advantage. Initially, we had used knee arthroscopic devices with an inner diameter of 4.5 mm to inject the complex. We also used β-TCP granules with 75% porosity, because β-TCP with 75% porosity can be more rapidly resorbed than that with 60% porosity. However, the more porous material was not visible during injection under fluoroscopy, and it was hard to push out the complex. Thus, we changed to TCP granules with 60% porosity in order to see their presence under fluoroscopy. In addition, in order to reduce pressure to push out the complex, we used a different device for osteochondral implantation. In the present study, partial β-TCP resorption was observed in radiographic images in the presence of FGF-2 at 6 or 8 weeks. Twelve weeks after surgery, all β-TCP had been resorbed and replaced by bone. These findings suggest that resorption of β-TCP was important for bone formation and may be promoted by FGF-2. Three patients involved in this study had been treated with alendronate or risedronate. Recently, we have investigated the effects of alendronate on osteoclastic resorption of β-TCP and bone formation. β-TCP blocks of 75% porosity, with or without alendronate treatment, were implanted into cavities drilled in rabbit femoral condyles. The results showed that local application of alendronate at a concentration of 10-2 to 10-6 M reduced the number of osteoclasts on the surface of β-TCP. New bone formation was also inhibited by alendronate in a dose-dependent manner [20T Tanaka, M Saito, M Chazono, Y Kumagae, T Kikuchi, S Kitasato, and K Marumo, "“Effects of alendronate on bone formation and osteoclastic resorption of beta-tricalcium phosphate”", J. Biomed. Mater. Res, vol. vol. 93, pp. 469-474, 2010.]. Thus, inhibition of osteoclast formation resulted in reduced β-TCP resorption and bone formation. These results suggest that osteoclast-mediated resorption plays an important role in bone formation and higher doses of alendronate may inhibit β-TCP resorption. In general, renal function was reduced in the elderly patients. Thus, administration of bisphosphonates was prohibited by 12 weeks after surgery. The present study demonstrated that all patients had good β-TCP resorption and bone formation. In conclusion, the complex of β-TCP granules, hyaluronate, and FGF-2 can facilitate callus formation and may be useful for the treatment of other cortical bone defects such as long-bone fractures with displaced fragments with minimal surgical invasion. K Ohura, M Bohner, P Hardouin, J Lemaitre, and B Pasquier Flautre, "“Resorption of and bone formation from, new betatricalcium phosphate-monocalcium phosphate ceramics”", J. Biomed. Mater. Res, vol. vol.30, pp. 193-200, 1996. K Ohsawa, M Neo, H Matsuoka, H Akiyama, H Ito, H Kohno, and T Nakamura, "“The expression of bone matrix protein mRNAs around beta-TCP particles implanted into bone”", J. Biomed. Mater. Res, vol. vol.52, pp. 460-466, 2000. J Dong, T Uemura, Y Shirasaki, and T Tateishi, "“Promotion of bone formation using highly pure porous beta-TCP combined with bone marrow-derived osteogenitor cells”", Biomaterials, vol. vol.23, pp. 4493-4502, 2002. A Ogose, T Hotta, H Hatano, H Kawashima, K Tokunaga, and N Endo, "“Histological examination of beta-tricalcium phosphate graft in human femur”", J. Biomed. Mater. Res, vol. vol.63, pp. 601-604, 2002. M Chazono, T Tanaka, H Komaki, and K Fujii, "“Bone formation and bioresorption after implantation of beta-tricalcium phosphate granules-hyaluronate complex in rabbit bone defects”", J. Biomed. Mater. Res, vol. vol.15, pp. 542-549, 2004. T Tanaka, H Komaki, M Chazono, and K Fujii, "“Use of a biphasic graft constructed with chondrocytes overlying a betatricalcium phosphate block in the treatment of rabbit osteochondral defects”", Tissue Eng, vol. vol.11, pp. 331-339, 2005. T Tanaka, M Chazono, and H Komaki, "“Clinical application of beta-tricalcium phosphate in human bone defects”", Jikeikai Med. J, vol. vol.53, pp. 23-31, 2006. T Tanaka, Y Kumagae, M Saito, M Chazono, H Komaki, T Kikuchi, S Kitasato, and K Marumo, "“Bone formation and resorption in patients after implantation of beta-tricalcium phosphate blocks with 60% and 75% porosity in opening wedge high tibial osteotomy”", J. Biomed. Mater. Res. Part B Appl Biomater, vol. vol.86, pp. 453-459, 2008. 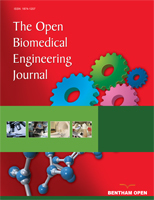 H Komaki, T Tanaka, M Chazono, and T Kikuchi, "“Repair of segmental bone defects in rabbit tibiae using a complex of betatricalcium phosphate, type I collagen, and fibroblast growth factor- 2”", Biomaterials, vol. vol.27, pp. 5118-5126, 2006. TL McCarthy, M Centrella, and E Canalis, "“Effects of fibroblast growth factors on deoxyribonucleic acid and collagen synthesis in rat parietal bone cells”", Endocrinology, vol. vol. 125, pp. 2118-2116, 1989. DB Rifkin, and D Moscatelli, "“Recent development in the cell biology of basic fibroblast growth factor”", J. Cell Biol, vol. vol.109, pp. 1-6, 1989. H Kawaguchi, T Kurokawa, K Hanada, Y Hiyama, M Tamura, E Ogata, and T Matsumoto, "“Stimulation of fracture repair by recombinant human basic fibroblast growth factor in normal and streptozotocin-diabetic rats”", Endocrinology, vol. vol.135, pp. 774-781, 1994. ME Muller, M Allgower, R Schneider, and H Willenegger, Manual of internal fixation: techniques recommended by the AOASIF group, 3rd ed Springer-Verlag: Berlin Heidelberg, New York, 1991, pp. 270-281. P Aspenberg, and LS Lohmander, "Fibroblast growth factor stimulates bone formation”", Acta. Orthop. Scand, vol. vol. 60, pp. 473-476, 1989. T Kato, H Kawaguchi, K Hanada, I Aoyama, Y Hiyama, T Nakamura, K Kuzutani, M Tamura, T Kurokawa, and K Nakamura, "“Single local injection of recombinant fibroblast growth factor-2 stimulates healing of segmental bone defects in rabbits”", J. Orthop. Res, vol. vol.16, pp. 654-659, 1998. T Nakamura, Y Hara, M Tagawa, M Tamura, T Yuge, H Fukuda, and H Nigi, "“Recombinant human basic fibroblast growth factor accelerates fracture healing by enhancing callus remodeling in experimental dog tibial fracture”", J. Bone Miner. Res, vol. Vol 13, pp. 942-949, 1998. ML Radomsky, TB Aufdemorte, LD Swain, WC Fox, RC Spiro, and JW Poser, "“Novel formulation of fibroblast growth factor-2 in a hyaluronan gel accelerates fracture healing in nonhuman primates”", J. Orthop. Res, vol. vol.17, pp. 607-614, 1999. Y Tabata, K Yamada, L Hong, S Miyamoto, N Hashimoto, and Y Ikada, "“Skull bone regeneration in primates in response to basic fibroblast growth factor”", J. Neurosurg, vol. vol.91, pp. 851-856, 1999. 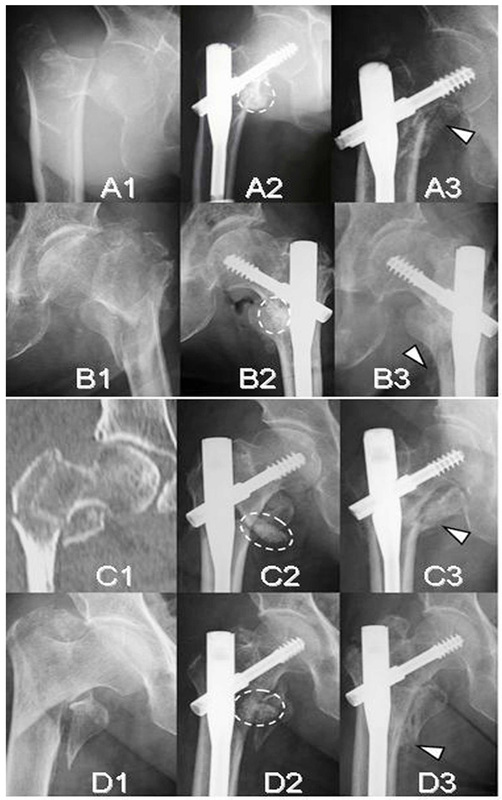 H Kawaguchi, S Jingushi, T Izumi, M Fukunaga, T Matsushita, T Nakamura, K Mizuno, and K Nakamura, "“Local application of recombinant human fibroblast growth factor-2 on bone repair: A dose-escalation prospective trial on patients with osteotomy”", J. Orthop. Res, vol. vol.25, pp. 480-487, 2007. T Tanaka, M Saito, M Chazono, Y Kumagae, T Kikuchi, S Kitasato, and K Marumo, "“Effects of alendronate on bone formation and osteoclastic resorption of beta-tricalcium phosphate”", J. Biomed. Mater. Res, vol. vol. 93, pp. 469-474, 2010.